David Arnold, who scored five James Bond films, discussed his work with singer Chris Cornell for the title song of 2006’s Casino Royale with the entertainment news website The Wrap. Cornell died last week. Arnold paid tribute to the performer after Cornell’s death in Detroit. Here’s an excerpt from the story in The Wrap. Shortly after signing on…Cornell traveled to the set in Prague to meet with Arnold and the film’s director, Martin Campbell. After reading the script and watching Craig in action via a rough cut of the film, Arnold and Cornell sat down to compare ideas for the song. They agreed that the song couldn’t be called “Casino Royale” and decided that the title “You Know My Name” would fit with Bond’s ego, an element of his character that plays a major factor in the story. Arnold and Cornell wrote You Know My Name, with Cornell as the singer. Elements of the song were woven into Arnold’s score for the 21st James Bond film. It was the last time (to date) a Bond movie composer collaborated on a 007 title song. UPDATE III (6:50 p.m.): The Wayne County (Michigan) Medical Examiner said Chris Cornell died from “suicide by hanging” even though a full autopsy report hasn’t been completed according to The Detroit News. ORIGINAL POST (4:30 a.m.): Chris Cornell, the rock musician who co-wrote and performed Casino Royale’s title song, died Wednesday night at age 52, The Associated Press reported. The news service quoted a Cornell representative, Brian Bumbery, as saying the musician’s death was “sudden and unexpected.” No cause of death was known early Thursday. Cornell, who had been on tour, died in Detroit, the AP said. Cornell was the lead singer for Soundgarden and “helped architect the 90’s grunge rock movement,” AP said in its report. He was also lead performer and songwriter for Audioslave. In 2006, Cornell became the first title song performer for the Daniel Craig era of James Bond films. Cornell also co-wrote Casino’s title song, “You Know My Name,” with David Arnold, who also scored the movie. With Casino, Eon Productions opted for a “reboot,” or starting the series over. The Daniel Kleinman-designed main titles were different that previous entries. Graphic elements for the titles included playing card images as well as silhouettes of violent fights as well as images of Craig, who was making his 007 debut. 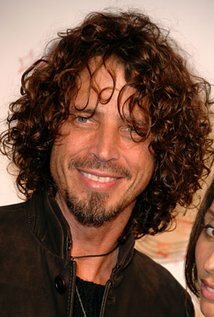 My friend Chris Cornell has died and I’m just incredibly sad . UPDATE II (9:30 a.m.): Many tributes have been written about Chris Cornell in the hours after his death became public. Here are tweets by the official James Bond Twitter account and actor Jeffrey Wright, who played Felix Leiter in Casino Royale. Chris Cornell. Man, what? Wow., wow. Too soon. Great singer. Super nice dude. This year marks the 20th anniversary of Tomorrow Never Dies, a jigsaw puzzle of a production. Just when the pieces seemed to be coming together one way, they had to be disassembled and put together another. That condition certainly applied to the script. Producers Michael G. Wilson and Barbara Broccoli initially employed Donald E. Westlake. That effort was dropped. Next up, Bruce Feirstein, who had penned the later drafts of GoldenEye, started a new story line. Other scribes worked on the project before Feirstein returned, doing rewrites on the fly while filming was underway. Locations ended up being a puzzle as well. 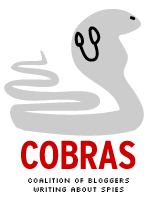 Much of the story was set in Vietnam. But the Asian country abruptly revoked permission to film there. The Eon Productions crew had to quickly go to Thailand as a substitute. The score from composer David Arnold would also be a jigsaw puzzle. The newcomer scored the movie in thirds. (He explained the process in detail in an audio interview with journalist Jon Burlingame that was released on a later expanded soundtrack release.) There would be next to no time for normal post-production work. Principal photography didn’t begin until April 1, 1997, and production would extend into early September for a movie slated to open just before Christmas. It was star Pierce Brosnan’s second turn as 007. In the documentary Everything or Nothing, he said his Bond films other than GoldenEye were all a blur. That blur began with this production. Also, during the film’s buildup, the publicity machine emphasized how Michelle Yeoh’s Wai Lin, a Chinese agent, was Bond’s equal. This wasn’t exactly a new development. Barbara Bach’s Agent Triple-X in The Spy Who Loved Me was “his equal in every way,” according to that movie’s director, Lewis Gilbert. Nor would Tomorrow Never Dies be the last time “Bond’s equal” would come up in marketing. In some ways, Tomorrow Never Dies was the end of an era. It was the last opportunity to have John Barry return to score a Bond film. He declined when told he wouldn’t be permitted to write the title song. That opened up the door for Arnold, who’d score the next four 007 movies. This would also be the final time a Bond movie was released under the United Artists banner. UA was a division of Metro-Goldwyn-Mayer in 1997. Two years later, MGM decided to release The World is Not Enough under its own name. The movie, directed by Roger Spottiswoode, generated global box office of $339.5 million. That was lower than GoldenEye’s $356.4 million. Still, it was more than ample to keep the series, and its Brosnan era, going. 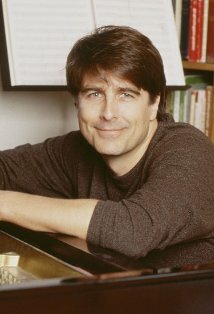 Thomas Newman became the third composer to do more than one Bond album after John Barry (11 007 scores and David Arnold (five). It happened when Sam Mendes returned for the 007 director chair for SPECTRE, after the success of Skyfall. With the son of the legendary Alfred Newman being one of Mendes’ favorite musicians, it was almost predictable that Newman would be coming back as well. By the beginning of October, two tracks from SPECTRE were released through the British radio, disappointing many people as they sounded too similar to Skyfall. Of course, both Barry and particularly Arnold repeated some of their previous films cues into the Bond film in hand, yet the SPECTRE soundtrack seemed almost a remix of the Skyfall score. However, when watching the movie, the soundtrack effect grows. The gunbarrel –back at the beginning for the first time since 2002’s Die Another Day – has a sound reminiscent to Tomorrow Never Dies and The World is not Enough, with the last bars of the James Bond Theme as the blood drips down. It was, unfortunately, discarded from the commercial album, which starts with a track titled “Los Muertos Vivos Están” (The Dead Are Alive). Track 1 is a pretty cool rendition of the James Bond Theme accompanied by the drums of a Mexican band known as Tambuco. Something very important to say is that Newman, this time, seems more confident when using the Bond Theme, using it prominently and in full, unlike his previous job where he seemed a bit afraid to repeat his predecessor’s expertise in handling the piece attributed to Monty Norman. More effective uses of the James Bond Theme are heard during the last seconds of “Detonation” (track 23) and “Westminster Bridge” (track 24, very similar to Skyfall’s “The Moors”). An unreleased Bond fanfare is heard at the end of the helicopter fight during the pre-credits sequence, with a piano orchestration leading us to Smith’s theme. As Vauxhall Bridge (track 2) reminds us to “New Digs” from Skyfall (funnily enough, Bond points out the CNS building as “C’s new digs” in the scene), the third track is almost a cut and paste version of “Brave New World,” also from Skyfall. Yet, Newman manages to change the epic Hans Zimmer-esque sound for a lyrical chorus to enhance Bond’s arrival to Rome aka “The Eternal City,” which is the title given to the track. The use of the chorus, also present in “Backfire” (track 6) and the end titles (track 26) were perhaps the best thing Newman did and one of the strongest points of the score. “Donna Lucia” (track 4), used for 007’s seduction of Monica Bellucci’s character, reminds us a bit to Die Another Day, particularly the scene where Pierce Brosnan’s Bond is visited by Peaceful Fountains of Desire. Romantic pieces are Newman’s strong point as he proves in “Madeleine” (track 9) and “Secret Room” (track 13). The piano notes and the strings make us fall in love with the leading lady and feel some empathy for the death of her father, as she observes her childhood photos on Mr. White’s hidden room in an African hotel. A choral version of Madeline’s theme is reprised during the end credits. The North African sounds combined with Hoyte Van Hoytema’s shots of the train through the desert are perhaps one of the best audiovisual moments in the whole franchise. Track 15 is the only time when we hear a rendition of Sam Smith’s theme song, “Writing’s on the Wall”. Newman made his own instrumental version (the first minute sounds very similar to the original) for Bond’s intimate moment with Madeleine Swann on the train. As Bond escapes a horrid torture by Oberhauser, a piece titled “Tempus Fugit” (track 19) is heard for the second time. Closely similar to another track from Skyfall titled The Bloody Shot, this track first appears as Bond fights Sciarra inside an helicopter atop Mexico City, at the very beginning of the film. Perhaps the least interesting piece is the atonal “Snow Plane” (track 11), where it seems Newman tried to imitate Bill Conti’s For Your Eyes Only disco score. This scene – where 007 chases Hinx and his goons with a plane across the snowy Austria — needed a more John Barry or David Arnold like sound, a closer feeling to On Her Majesty’s Secret Service, way more darker. Apart from that, it was a nice nod of Newman to add a source piece in the score. Track 18, “Day of the Dead”, features Tambuco and has the actual chorus from the festive mourners, cheering up for the “resurrection” of their deceased ones. 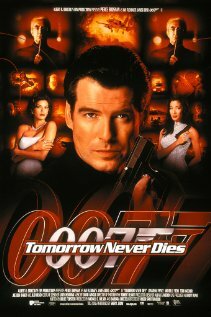 Before the end titles, the composer closes with “Out of Bullets” (track 25), which is a very beautiful version of the romantic piano cue from “Secret Room” and “Madeleine”, combined with a lush sound reminiscent to David Arnold’s romantic sounds from his Tomorrow Never Dies and Die Another Day scores. In conclusion, the SPECTRE score is indeed special and fits with the conclusion of the story opened in Casino Royale, almost ten years ago. A needed criticism has to be made to the way Newman made that cut-and-paste to the Skyfall score (he should have used the cues in a more subtle way), but it indeed achieves the objective of transporting us to the magic atmosphere of the film’s locations –from the lyrical Rome to the exotic Tangier– in a very pretty way. Newman, who turns 60 on Tuesday, was interviewed on BBC Radio 3’s In Tune show and there’s now a summary of the interview on THE BBC’S WEBSITE. Newman, part of a Hollywood family of film composers, was brought into the Bond series by director Sam Mendes. The move displaced David Arnold, who had composed the scores for the previous five 007 films. Newman also said film music shouldn’t overpower a movie. To read the entire BBC website story, CLICK HERE. How time flies! It was ten years ago we saw Daniel Craig rushing the Thames River on a speedboat to meet the press during his announcement as the new James Bond, on Oct. 14, 2005. Casino Royale, set for November 2006, had many challenges: introduce a new Bond actor, reboot the series and provide a good balance between the action scenes the book lacked and the drama content that filled the pages of Ian Fleming’s first novel, published in 1953. Directed by a familiar face, GoldenEye’s Martin Campbell, the film was the target of a lot of criticism concerning the new face of 007. 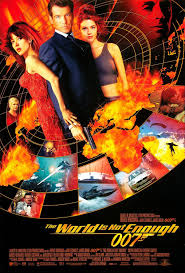 Craig, then 37, had a hard time when production started: a website boycotting him plus tabloids calling him “James Bland.” He seemed far different from Pierce Brosnan’s suave portrayal of the British spy, last seen in 2002’s Die Another Day, a movie that went too far with CGI effects and overly seen clichés. However, the 2006 film proved to be a great box office hit and the press had to admit its misjudgment of Craig’s portrayal. The actor showed us a strong and fearless Bond. Lethal but equally weak and romantic, Craig’s Bond fell in love and tragically lost Vesper Lynd, the female lead of the movie played by Eva Green. In Casino Royale, Craig’s 007 could balance Sean Connery’s ironies with Timothy Dalton’s violence, as well as bringing to screen a modern sense of humor. “Do I look as if I give a damn?” he says when asked if his drink should be shaken or stirred, or cuts M off the phone after interrupting her for an “urgent” call. Indeed, this was the Bond the 21st century needed. Much of the 2006 film success came, of course, by the expert hand of director Campbell and his crew: veteran cinematographer Phil Méheux, editor Stuart Baird, composer David Arnold and the second unit directed by Alexander Witt (who returned in Skyfall and now in SPECTRE). 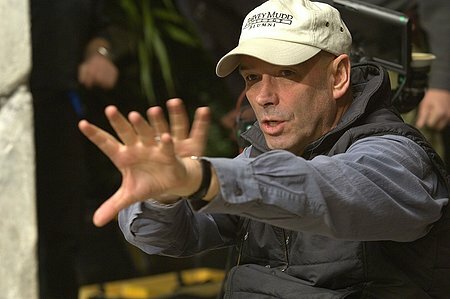 Martin Campbell, director of GoldenEye and Casino Royale. Not to mention the cast selected by Debbie MacWilliams: Eva Green contrasting the original Vesper from Fleming’s book with a self-confident and seductive character that falls for the spy; Mads Mikkelsen bringing up a young and debonair Le Chiffre; and Giancarlo Giannini and Jeffrey Wright bringing to life to René Mathis and Felix Leiter, 007’s allies in the novel. The film wasn’t a success because it was a Bond film, but because it excelled in showing us “how James became Bond,” as the audience exploded into an applause when getting the classic “Bond, James Bond” introduction spoken by Craig in the film’s last minutes. In 2008, Daniel Craig returned for the much anticipated Quantum of Solace, conceived as a “direct sequel” of Casino Royale. Craig provided a fine performance, but the script fails to give the audiences what they wanted: Quantum of Solace was, in result, poor in comparison with Casino Royale, both technically and literary, as the script had to be completed during filming when the WGA strike affected Bond scribes Paul Haggis, Neal Purvis and Robert Wade. Craig said he and director Marc Forster were de facto writers. The film provides some nice shots of the Italian, Bolivian and Austrian landscapes courtesy of director of photography Roberto Schaeffer, as well as some original and dynamic music by David Arnold. But the story seems dull, uninteresting and full of badly shot scenes with Forster trusting many scenes to his second unit director, Dan Bradley. 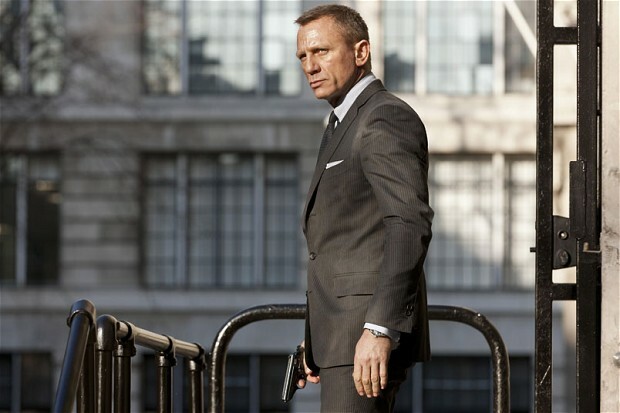 Many moviegoers and Bond aficionados felt that the reboot and the idea of bringing up a redefined 007 went a bit too far with the 2008 film, that didn’t gross as much worldwide as its 2006 predecessor. An original ending, where Bond faced of Mr .White one last time, ended up in the cutting room floor and was replaced by a final scene of the secret agent capturing Vesper’s treacherous boyfriend and throwing her distinctive necklace on the snowy ground. James Bond wouldn’t return until 2012’s Skyfall. Once again, Daniel Craig returned as Bond. It was the longest gap between two Bond films with the same actor playing the main role. As the series celebrated its 50th anniversary, the propaganda machine opted for leaving the Casino Royale and Quantum of Solace story behind and going for a completely different plot in which the secret agent would have to protect M (Judi Dench) from the hands of Tiago Rodrigues aka Raoul Silva, a dismissed MI6 field agent with a desire of revenge towards his former boss. The first Bond movie directed by Sam Mendes promised a lighter Bond film, with many winks to the first adventures of the series and more humoristic situations: a gadget-laden Aston Martin DB5 and references to an exploding pen, as well as the re-establishment of Q and Moneypenny, left apart after Pierce Brosnan was separated of the role, now played by Ben Whishaw and Naomie Harris. The idea for Skyfall was, apparently, steering away from the story arc started in Casino Royale and apparently closed in Quantum of Solace. In a very similar case that Goldfinger, Skyfall seems completely unrelated to its two predecessors: the 1964 film didn’t have SPECTRE as the enemy but the self-employed Auric Goldfinger and his plan to irradiate Fort Knox. The 50th anniversary Bond film proved to be a great success, providing a story balanced between the classic Bond humor with dramatic and violent situations, plus elements taken from the two last Ian Fleming novels: You Only Live Twice and The Man With the Golden Gun. The film has also had five Oscar nominations, including Adele’s main title song that got the Best Song award. The film also shared an Oscar for sound editing with Zero Dark Thirty. In a couple of weeks, the 24th James Bond films will hit theatres. It’s simply called SPECTRE, as the old criminal organization led by Ernst Stavro Blofeld. Eon Productions convinced Sam Mendes to return one more time to the director’s chair, as well as many of his crew members. The base of the script was written by Skyfall’s John Logan, with the return of Neal Purvis and Robert Wade and additional scripting by Jez Butterworth. The script was leaked shortly after the film was announced on December 2014. While producers claimed it was only an old draft, it is understood that the story inside this leaked script featured many classic elements of the franchise, resulting in probably the most “traditionalist” Craig Bond film. 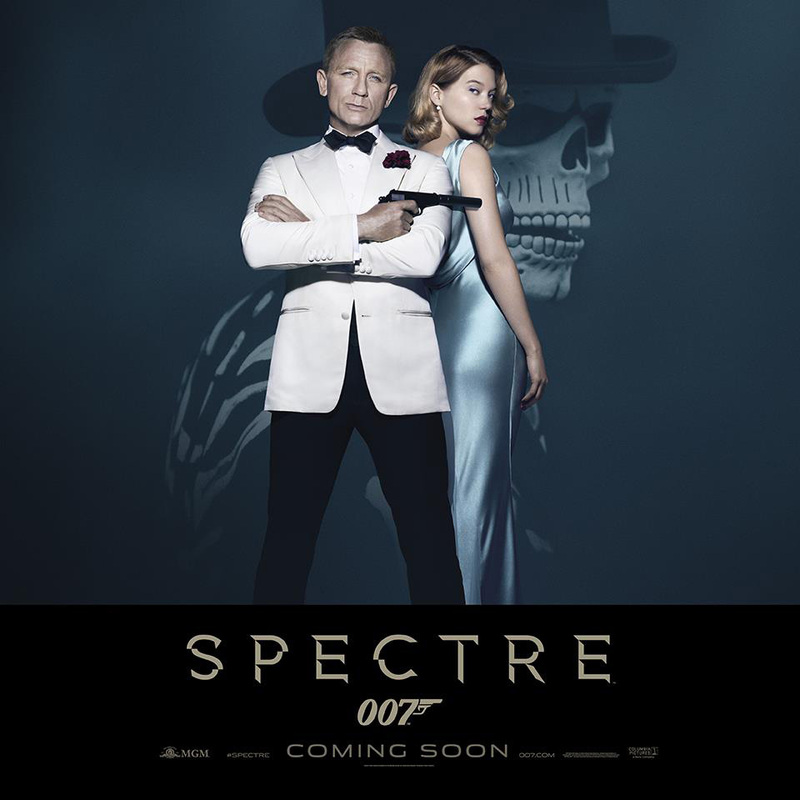 In SPECTRE, Bond travels from Mexico to London, Rome, Austria and Morocco to uncover the truth behind a criminal organization known as SPECTRE (according to Mendes, this SPECTRE is not an acronym, thus not related to Terrorism, Revenge and Extortion). The organization’s leader, known as Franz Oberhauser (Cristoph Waltz) is someone from Bond’s past and has a vendetta against him. The film apparently ties the story left over from Quantum of Solace, as 007 meets again with Mr. White, and there are a few connections with Skyfall’s plot. The movie sees the return of Ralph Fiennes as the new M, Ben Whishaw as Q and Naomie Harris as Moneypenny. New characters include Léa Seydoux as Madeleine Swann, Monica Bellucci as Lucia Sciarra, the widow of a SPECTRE assassin, and Andrew Scott as Denbigh, a bureaucrat rival the new M will have to face. The sixth Bond actor also is as co-producer with Andrew Noakes and David Pope. It is understood that this is due to his collaboration in the making of the film and his strong bond with director Sam Mendes, a closer friend of him since both met during the shooting of Road to Perdition. Stephanie Sigman, playing Estrella in the upcoming film, said on an interview with News.au that she learned a lot with Craig, since we was very technical with the shooting: “He’s very experienced doing films. He was helping me with how to move with the camera.” On the other side, The Telegraph claims that the British actor saw his films as a big story arc and had the idea of introducing the Bond folklore elements gradually. It is still unknown if Daniel Craig will return for a fifth Bond: in some interviews he claims he’ll play the character as long as he can while sometimes he points out he’s way too physically tired from playing Ian Fleming’s character. What is true is that the blonde guy who ten years ago raised some eyebrows as he wore a life vest while being taken on boat to the HMS President vessel for his introduction has made many achievements in the franchise and became a member of the James Bond family. Sam Smith’s awaited main title song for SPECTRE, titled “Writing’s On the Wall,” was finally released last Friday. As expected, the Bond fandom was divided between those who called it “an instant classic” and the ones who opened a petition drive to banish it to the end credits. Still, even when Smith’s voice may not be the most appropriate, the orchestration and lyrics excel in examining James Bond’s feelings and emotions, something only given before by a discarded end title song, Scott Walker’s “Only Myself to Blame,” put away from 1999’s The World Is Not Enough in favor of the triumphant James Bond Theme. “I walked way past midnight, I’ve driven for days I tried to forget in so many ways,” the vocalist sang Don Black’s lyrics. “From city to city, I still see your face… it follows me ‘round, all over the place. I shouldn’t look back, but I do just the same. And I’ve only myself to blame,” the song continues. The composition, still available on track 19 of David Arnold’s soundtrack, was the first song to narrate the misfortune of a heartbroken Bond, far away of the “Nobody does it Better” or “Mr. Kiss Kiss Bang Bang” fanfares. As a vocal version of Elektra’s Theme (Black told composer Arnold “there was a song” hidden in it), it laments the ill-fated romance between James Bond and the young oil tycoon played by Sophie Marceau: an innocent girl, corrupted after being kidnapped, turning into a criminal mastermind capable to use both Bond (Pierce Brosnan) and her former kidnapper/lover Renard (Robert Carlyle) as fools. As we know, the story ended with the cold shot of a 007 who “never misses,” but also takes a minute to caress her dead body. Much like “Only Myself to Blame,” Sam Smith’s song “Writing’s On the Wall” tears miles away of the triumphalist conception of James Bond and dives into his biggest weakness: his inability to enjoy a lasting relationship due to the hazards of his violent job. Times had been tough for Daniel Craig’s version of 007: in Casino Royale, his love interest Vesper Lynd commits suicide. That leads him, in Quantum of Solace, to Mr. White and subsequently to ecologist Dominic Greene to unravel a secret criminal organization while seeking the help of the vengeful Camille, who barely kisses him before walking away after the mission is over. In Skyfall, all this story arc seems put away but Bond still has to face another challenge to his emotions: Judi Dench’s M dies on his arms after being wounded during the attack led by former agent Silva. “I’ve been there before, but I always hit the floor,” Smith sings, evoking these fateful events between 2006 and 2015: the deaths of a love interest and a mother figure, facts that are supposed to come back with a vengeance in SPECTRE. Back at the beginning of September, Smith described his song for the film as “a love song,” a category that could very well fit older pieces such as “From Russia with Love”, “You Only Live Twice” or “We Have all the Time in The World”. Yet, Jimmy Napes’ lyrics go one step further by revealing the inner feelings of 007 facing the possibility of putting his heart at stake once more. More than a love song, “Writing’s On the Wall” proves to be a declaration of love. The song goes: “But I feel like a storm is coming if I’m gonna make it through the day. Then there’s no use in running, this is something I gotta face.” Is it insinuating that, even if a disaster occurs again, he can’t run away of his feelings? There’s almost a month to wait until we see if, this time, Daniel Craig’s Bond will have a happy ending with Léa Seydoux’s character. So far, it’s interesting to see “Writing’s On the Wall” as the comeback of an idea put away from a 1999 Bond film, a nostalgic song that wouldn’t have fitted the victorious ending of that story and would have raised the eyebrows of the fans, in a historical context where Pierce Brosnan’s 007 was meant to win. Now, as Daniel Craig’s 007 ran away of many emotional battles that didn’t seem to be healed, an introspective Bond song will get the main titles treatment. We don’t know if this will turn out to be good or bad, but interesting for sure.